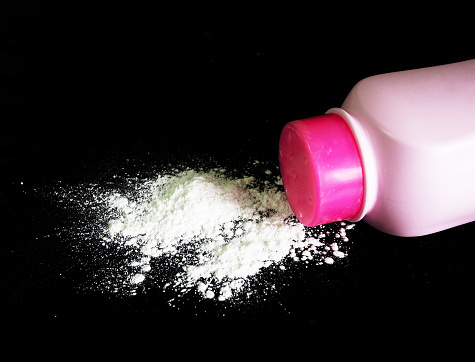 GEORGIA — The plaintiff, Sharon Hanson, used Colgate Palmolive’s Cashmere Bouquet talcum powder product for 12 years, from 1961 to 1973. She was later diagnosed with both ovarian cancer and mesothelioma, and passed in April 2018. On September 15, 2017, Colgate moved for summary judgment and also later filed Daubert motions to preclude plaintiff’s four causation experts. On September 24, 2018, the court entered an order excluding the opinions of each of those experts. Colgate’s motion for summary judgment argued that 1) the plaintiff had no evidence that the Cashmere Bouquet product contained asbestos; and 2) assuming the product did contain asbestos, plaintiff had no evidence as to the amount of exposure to that asbestos. In order to survive summary judgment under Georgia law, the plaintiff had to prove that she was actually exposed to asbestos and that the amount of exposure was greater than de minimis. After a thorough review of the record concerning product testing, the court concluded that the plaintiff was unable to demonstrate that the Cashmere Bouquet product which she used contained asbestos. There was no evidence that the plaintiff’s expert tested a Cashmere Bouquet product from the 1961 to 1973 timeframe, or tested a sample that the plaintiff actually used. If the court were to accept the plaintiff’s argument, the jury would be allowed to find liability against Colgate on the following basis: 1) a product sometimes contains asbestos; 2) the plaintiff used the product in question; 3) asbestos causes mesothelioma; 4) the plaintiff contracted mesothelioma; and 5) therefore, the product caused mesothelioma. Such reasoning does not comport with Georgia law requiring a plaintiff to show actual exposure to satisfy the specific causation requirement. The court also addressed the alternative argument addressing if the product did contain asbestos. The court found that Colgate demonstrated that there is no evidence regarding the level of plaintiff’s asbestos exposure and the contribution of the Cashmere Bouquet product to the plaintiff’s mesothelioma and ovarian cancer. For those reasons, Colgate’s motion for summary judgment was granted.